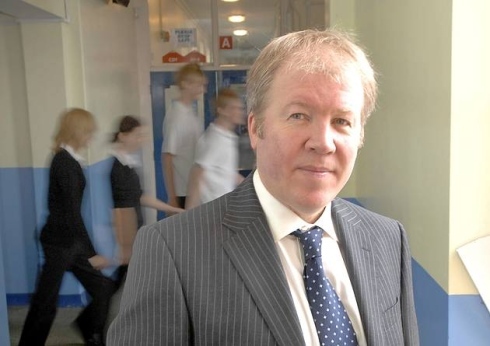 Once the DfE gave initial approval for Beccles Free School in Mid October 2011 there was an exchange of emails between Jeremy Rowe, Head of Sir John Leman High and Cllr Newman, Portfolio Holder for Education - particularly about the proposed use by the Free School of the Beccles Middle School Site. I completely comprehend your plea for help, and I know that Sally Rundell and Phil Whiffing were pressing the DfE at the end of last week to meet to discuss this issue in more detail. But there again, SCC has consistently said the Middle School building is not available for the foreseeable future - in every round of comment we've been invited to make on the Free School proposal. It appears this has just been ignored. Also I believe Ian Brown has agreed with you a supplementary letter to the admissions procedure to go out to parents in an attempt to establish exactly how many pupils are preferring SJL over any other option. least the world knows they are there. I know Cllr Mark Bee and Peter Aldous MP are as concerned as I am and we will all do our best on the political front. Thanks for getting in touch, Graham - as I said in the BBC Look East studio last Tuesday, I am not against Free Schools per se. The issue for us is that half of our building - promised to us through SOR - is now potentially to be handed over to a Free School! Parents are choosing SJLHS based on this promise. We literally will not have the space for our new year 7 & 8 students in September 2012 if this gets final approval - where will our students go? I can only assume there has been a ghastly error at the DfE, but how do I ensure its put right? We are desperate for someone to help with this. Cllr Newman replies explaining that he "is in a difficult position politically"
Thank you for the telephone call on Friday to my home number - I did pick up your message OK. I have visited SJL, albeit a little while ago now, and we also met at one of the Milsom's Restaurant gatherings in Kesgrave nearly two years ago now. Unfortunately I will be at a conference in London all day Monday and will already be on the train before school starts. It is just possible I will get a chance to phone you later in the day if you are prepared to share your mobile or direct line numbers with me. Alternatively, I will try and make contact on Tuesday on SJL's switchboard number. Matthew Hancock (West Suffolk) (Con): The Secretary of State will know that in West Suffolk we have two proposed free schools at different stages of development to replace closing middle schools. Will he join me in urging parents not only in Brandon, at the Breckland middle school, but in Ixworth and in Stanton to put forward expressions of interest in joining the free schools—whether or not they come through, and I hope that they do—in order to ensure that the project gets off the ground? Michael Gove: Absolutely. One of the great things about Suffolk as a local authority is that its leader and its lead member for education recognise that, at a time of change, embracing academies and free schools can complement the already great state schools for which they are responsible. As for visionary leadership in local government, you have to go a long way to beat Suffolk. Hancock made a point of emailing this to Newmann and I had thought previously that this was just gloating but it appears also to have the effect of painting Newman into a political corner. Maybe that was the intention?